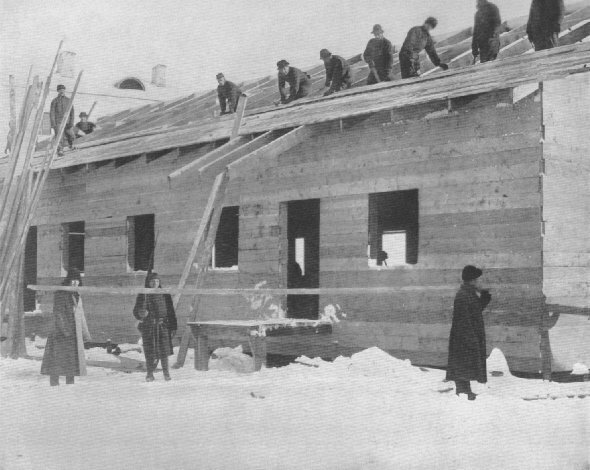 CAMP MICHIGANAmerican Army engineers rushing to finish one of the barracks of the camp of the Expeditionary Forces in Archangel. This camp was like a little American frontier city. The construction of buildings during the autumn of 1918 was a race with the weather that was won just in time.